As of today Kawai has just announced a new upgrade to the MP11 called the MP7SE. Please go to the following link to read more about it: Kawai MP7SE Review. The MP7 I am reviewing here is still available and I can help people get a special direct factory discount price on it. Please let me know after reading this review if you are interested in more info. The Kawai MP7 digital piano is the type of instrument that can provide a very satisfying piano playing experience to a wide variety of piano enthusiasts including families, students, professionals, churches, schools, and just about anyone wanting a portable 88-key digital piano with the highest possible piano playing realism for a "stage piano" under $2000. In fact after thoroughly playing and exploring this new model and all it can do, I can safely say this is the finest new stage digital piano under $2000 that I have ever played, and I have played them all including Roland, Yamaha, Korg, Kurzweil, Casio, Kurzweil, Nord, and others. What sets this piano apart from all the others are the features that everyone is looking for: the most realistic key action, the best dynamic response from the piano & instrument sounds, the most control over musical expression, smooth and responsive pedaling, and an overall playing experience that will move your musical soul. This is what the new MP7 is...a way to bring out any piece of music so that the listener and the player will believe they are playing a good acoustic piano as well as a host of other quality instruments. The MP7 has gone way beyond its previous models by offering (what I call) a gourmet pallet of ingredients that allows the player to fine tune their piano sound (both acoustic & electric) in such a way that you will be experiencing music not achievable in the past with any digital piano that I know of in this price range. In other words, when you are creating a gourmet meal, you use the finest ingredients possible and fine tune those ingredients in such a way that no other standard meal comes close. Another analogy would be like driving a fine tuned precision made Lamborghini as opposed to a standard Mercedes. If you have played piano for any length of time you will immediate notice the power, smoothness, and the detail in sound and key action, and the realism of every note on the keyboard that makes you say "wow." All this is not to say that the MP7 will replace a Steinway, Kawai, or Yamaha grand piano any time soon (it'll be awhile before that happens! ), but it's the closest thing you can get under or around $2000 in a digital stage type piano based on my playing experience with all of the new digital pianos in this price range. I would also submit that the MP7 is definitely not perfect because you can always want something to be better, but no digital piano is perfect. However, for its price it really is amazing and that's why this model seems to sell out very fast across the US. When it comes to the non-piano instrument tones such as guitars, brass, woodwinds, percussion, strings, choirs, synths, and so on, I know there will always be a difference of opinion as to what brand and model is better. Although the MP7 offers very high quality in this area and all the instrument sounds are impressive, there are other great brands that offer nice instrument sounds too. But when it comes to the bread & butter of what most people want (as I mentioned earlier) which is the acoustic piano sound authenticity, vintage electric piano sound realism, a precise and responsive lighter weight key action with superior dynamic range and lots of nuanced control, this is where the MP7 really shines. The Kawai MP7 has a new redesigned cabinet and control panel layout and the thing I noticed right away was that the cabinet itself looks more like an acoustic piano and less like a keyboard and it is also easier to hold/pickup. The MP7 closely resembles its bigger brother called the MP11 ($2799US internet price) in looks and design. You'll notice that the front of the MP7 has some height to it above the keys where the Kawai logo is placed on the cabinet. It not just a flat at about the same height as the keyboard like in other brands of digital pianos, but there is a height difference between the keys and the piano top that really makes you feel as if you are in front of an acoustic piano. Sometimes just feeling like you are playing a real acoustic piano makes a difference too, and that's true in this case. Beyond the physical difference, there is the new user interface. The display screen is larger and it reads out more internal information to the user so that you can move from one sound or function to the other more quickly and easily. The MP7 has 256 high quality instrument sounds including 28 different acoustic piano settings, 20 electric pianos, 36 Hammond style organs (jazz, rock, gospel), 20 pipe organs, 20 string orchestral selections, and a large assortment of choirs, brass, woodwinds, synths, guitars, percussion and more. I find that in many cases, the manufacturers have created their individual instrument sounds with a certain amount of effects built into that sound such as how bright or sharp that tone is, how much and what type of reverb/echo it has, the touch sensitivity curve applied, and other aspects of sound. Sometimes I like what the manufacturers have for their individual default sounds and sometimes I don't. In the case of the MP7, on most piano presets as well as other instrument sounds, Kawai uses very little reverb as compared with what I personally like to hear as well as the sound can sometimes be a bit too mellow more me. On other brands and models you can change those effects settings live while you're playing, but unfortunately cannot store them for later recall. However on the MP7 you can edit the factory tones & effects however you like and save/store them in their same places. Once you do that then every time you power up the piano, the original sounds have the edits you put in place and they come up that way. In other words, you can customize even the individual tones including clarinets, trumpets, flutes, organs, pianos, etc when you just want to quickly get one sound (out of the 256 instrument tones) rather than needing to create a full setup or layer to do it....very cool. If you want to reset the entire piano back to factory defaults you can do that too. The MP7 also has an additional 256 high quality factory preset combination layers & splits from bands and orchestras that give you famous recognizable multi-layered sounds already setup on the MP7 to use instantly instead of having to create all the settings/layers/splits yourself. There are 100 professional sounding preset drum patterns (left pic above) for play-along with the built-in drummer including rock, jazz, latin, blues, funk, waltz, gospel, country, and many other popular rhythm styles, and the MP7 allows you to control the tempo, volume, and other aspects of the rhythm section. As far as the user interface goes, and as I just mentioned earlier, the MP7 has a new larger LCD display (which I like) and the piano itself is laid out with lots of buttons, sliders, and knobs, and if you have not used a stage piano like this before, it may look a bit intimidating at first, somewhat like the cockpit of an airliner:). But in reality, the piano is fairly easy to use (it's true:), and access to the functions and sounds (even for a beginner) are understandable once you get familiar with the basics, so that after a short time anyone can make great music on this piano. The nice thing about the larger LCD screen is that the editing functions including the 4 sound control access knobs and buttons that surround the screen and are right in front of you as opposed to having controls sitting much further way from the screen like they are on many other brands of digital pianos. Also, when it comes to making great music on the MP7, it is virtually limitless with the things that you can do, even if you don't play well. If you happen to be a skilled pianist, you can play advanced levels of classical, jazz, or pop music and it will keep up with you and provide you with the musical inspiration you're hoping for because you can get to the editing functions fairly quickly and make those subtle changes to your sound that professionals love to do. However, be aware if you are not already, that the MP7 does not have built in speakers, has no furniture stand available for it, and does not come with any bench. 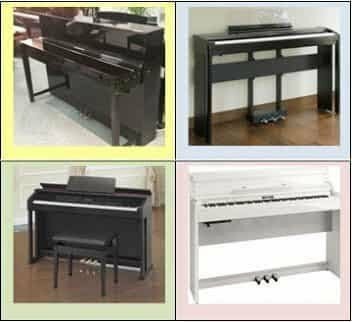 It is a stand alone portable "stage" piano (but certainly not just for stage) so you would need a good set of powered stereo monitors, a sturdy and functional digital piano stand, a reliable comfortable bench, and so on. Accessories from one manufacturer to the other are not all built the same, and some differ in quality and may not be a good match for this MP7, including what is in some of the prepackaged bundles on the Internet. Please contact me directly before you buy anything and I can tell you what would work the best for this piano at a low price. Once you get the proper speakers, stand, bench, and headphones (should you need them), then you make make inspiring music on the MP7 that will keep you playing for hours. The acoustic piano graded hammer key action simulation on the MP7 (left pic) is Kawai's RH2 action with a key movement that is smooth, quick, accurate, has the escapement/letoff feature of a grand piano which allows it to respond more like a grand because it produces a slight notch/hesitation about half-way down the key travel when the keys are played lightly like a grand piano does. The key weight balance between the bass & treble sections and between the black & white keys is very good...really feels like you're playing an acoustic piano in that way and yet it is still light enough to quickly play the non-piano sounds such as strings, brass, guitars, etc. The keytops have the Kawai ivory touch material which is a satin reproduction of actual ivory used on older acoustic pianos and it really feels good to the fingers to play on and is sweat absorbent. 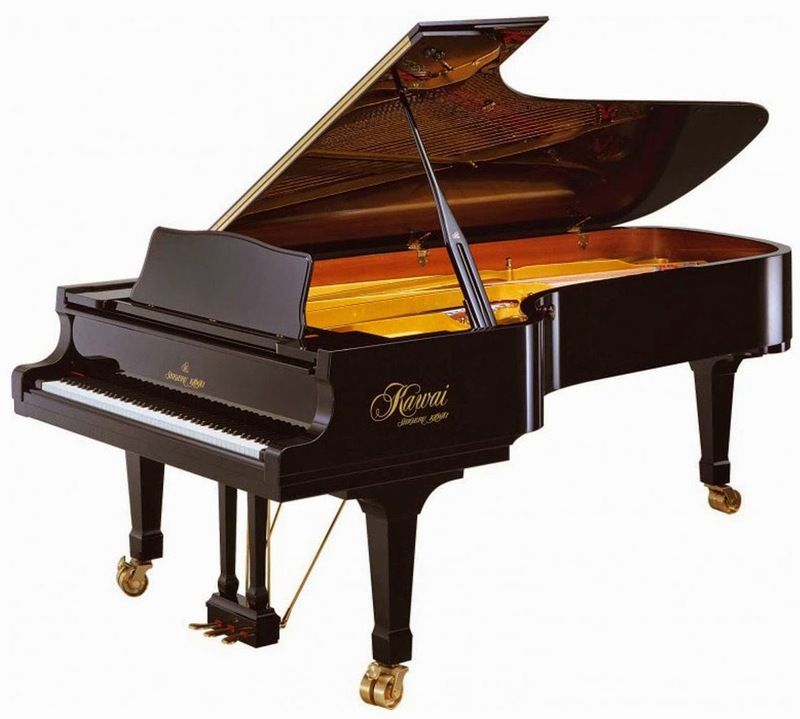 The key movement is noticeably quiet as compared with other brands and that is something Kawai key actions are known for...being sturdy, well built, and quieter while moving easily with a reasonable amount of touch weight required to play the keys. I am always concerned about static touch weight because that's how much pressure you need to have to push the keys down from resting position. If the touch weight needed from your fingers is too heavy or too light, you will not get the correct dynamics, smoothness of sound, and proper technique when trying to play a piece of music, as well as possibly feeling fatigued in your hands if the touch weight is too heavy. Whether you are a beginner or pro, key movement and touch weight are very important and the MP7 is pretty responsive in this way. The new Kawai MP7 key action now has 3 key sensors per key (left pic) instead of 2 key sensors that some other portable pianos under $2000 have. The additional key sensor is especially helpful is recreating the correct response from the notes when playing faster and more repetitive key movement. The articulation of sound and response from the new key action is a big upgraded and adds to the authenticity of what you get out of this instrument and I could tell the difference. Now when you play on this new instrument and you are repeating the notes at a fast velocity and not letting the keys come all the way up before you replay that key again, the new 3-sensor action will sense the keys and won't miss that note sounding again. This is certainly an issue if you play either a bit sloppy or are just a much better player and need a precise repeating action with balanced key weight and the correct velocity sensing key electronics. Kawai calls its acoustic piano sound Harmonic Imaging XL (HI-LX) 88-key sampling, which is just a fancy way of saying that Kawai has increased the memory chip capacity they use to capture the acoustic grand piano sound as well as record each note on a full size Kawai concert grand one at a time for the most complete reproduction of piano sound, as opposed to recording a note and then digitally stretching that note to become other notes rather than actually recording each one. The stretching process saves time and money in creating the digital piano sound but it is not nearly as realistic as 88-key individual note sampling with its large capacity piano memory chip. That's why some of the cheaper digital pianos (and a few that are more money) don't sound so good...because they sound more digital instead of natural. The MP7 sounds quite organic (natural) because of this upgraded piano sound chip and I was very impressed when I put it through its paces. It has beautiful tone, nice sustain & decay, overtones, resonance, and other organic nuances that piano sound should have. In fact, using the micro editing features provided on this instrument allows the user to change the personality of the MP7 piano sound so you can also recreate other acoustic pianos like Yamaha, Steinway, etc, so there really is no limit to what you can come up with if you don't mind using some of the cool editing and sound creation features on the MP7 piano. Then there is the upgraded 256-note maximum polyphony chip in this new piano memory chip. 256 notes of (non-stereo) polyphony translates to how many notes or keys can be played and sustained at any one time (while using the pedal) before the memory gives out and the single notes cut off. On a regular acoustic piano there are only 88 keys but when an acoustic piano is played from one side to the other, you are hearing the sound in stereo (bass strings on left, treble strings on right) and the sound also organically moves around inside the piano. I don't want to get too complex with explanations but just understand that whatever the polyphony number is stated on any digital piano, you need to divide that by 2 if you are using a stereo piano sound (such as what's in the MP7) or other stereo instrument sounds. If you combine/layer other instrument sounds with a stereo piano sound and play them at the same time (such as piano & strings), each key played would take up even more polyphony memory until you could possibly use up all the memory when playing and then some sounds wouldn't be heard anymore. So in simple terms...the more polyphony piano memory the piano has, the more complex your piano sound can be and the more you can do with your music. For a beginner this is never an issue and 256-note polyphony is far more than necessary. But for an advanced player or someone who likes to combine multiple sounds together on their digital piano such as an acoustic stereo grand piano, stereo symphonic violins, classical guitar, and stereo choir, 256-note polyphony memory can be a very important thing to have. Higher polyphony is also important when playing back multiple MIDI sound tracks when using the MP7 16-track MIDI playback system. In all cases, the Kawai MP7 has more than enough sound polyphony memory to satisfy even the most demanding player. One thing about playing a digital piano that many people overlook is the piano pedaling and whether or not it is authentic and will keep up with your music allowing for realistic control over damper/sustain, sostenuto, and soft pedaling. Pedaling is very important for expression and adding the required amount of resonance and sustain effect, and the MP7 does a great job of this.The MP7 comes with a pro quality single damper pedal (left pic) that looks like and functions as a acoustic piano pedal. The pedal is heavy duty, durable, and feels good to push with your foot. The pedal also does something that many single pedals included with portable pianos don't do...and that function is called half-pedaling. Half-pedaling is the amount of active sustain you get when you press down the pedal about half way and you would hear a medium amount of sustain rather than just on or off. The amount or type of half-pedal sustain can be adjusted in a few different ways depending on how you want it and if you would be connecting to external MIDI pianos or instruments. In either case, the pedaling realism on the Kawai is very good. Another part of the pedaling experience is being able to get an adequate amount of damper pedal resonance along with the proper amount of piano decay/sustain time. Pedal resonance is the sound you get when you hold the sustain pedal down and strike a note and the sound will naturally reverberate for awhile inside a real piano. This acoustic piano pedal resonance has been digitally recreated in the MP7 and is also adjustable for more or less of that effect...and it sounds very realistic. Pedal sustain decay time has to do with how long (how much time) the piano sound will be heard while your damper pedal is pressed down and you let go of the key after playing it. The longer the decay/sustain time, especially in the bass and mid-range key sections, the more natural the piano sound will sound. The MP7 has some good natural decay time but in my opinion it could be longer in some ways. On most other digital pianos you cannot change that function (length of sustain/decay time) but on the MP7 you can change it by using a control that lengthens or shortens the amount of time the piano sound will decay/sustain. This is a very cool feature and allows the player to customize the pedal playing experience to suit their musical needs. Although this pedal decay time feature is very usable, the average player may not need it. But to know it's there is a very good thing and I have used it myself to adjust for playing different kinds of music that require different pedaling results. So as you can see, pedaling can get complex or it can be simple...and the MP7 is excellent is recreating pedal realism with the one included pedal. Kawai also offers an optional F30 triple pedal unit so the player can access all three standard pedal functions and have the traditional piano experience including the sostenuto and soft pedal. 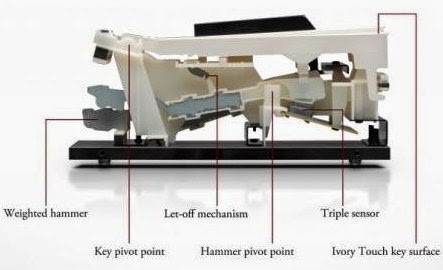 The triple pedal unit can also be assigned to control other aspects of the MP7 including changing instrument sound selection, organ rotary speed activation, and other useful features, and I would definitely recommend the triple pedal unit to give you the complete piano playing experience. The electric piano sounds on this piano are definitely worth noting and talking about because they are very impressive. Professional keyboard players are always looking for the most authentic reproduction of the classic electric piano sounds that originated from Wurlitzer electrics, Fender Rhodes electric pianos, Yamaha DX7 digital piano keyboards, and a number of other well known electric models from the past. Unless you know what the original electric pianos from these brands and models actually sounded like, you can't really know if a digital piano does a good job in reproducing them. But if you are more experienced with those original electric pianos, you'll notice right away the realism of the MP7 electric piano reproduction technology with micro editing which enables even the most obscure detail of those sounds to be accessed and sounding "real." You can hear the organic noise of the keys move, the key clicks, the internal metal tines and parts that come through in the MP7 sound reproduction, the organic reeds used in the old electric pianos, the old style bell like tones of the vintage instruments that all the pros are looking for. They are all there in the MP7 and you can dial in special effects in ways not possible in past Kawai models so that you can customize your electric pianos exactly in the way you want them. For those players who love the vintage electric piano & keyboard sound experience, the MP7 will amaze you like few other digital pianos will, especially in this price range. 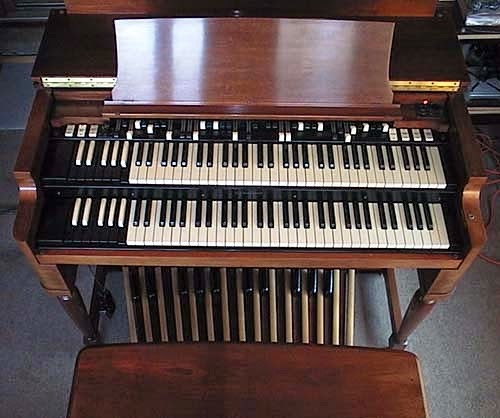 Another thing pro players look for as far as requested instrument sounds on a digital stage piano is the famous Hammond B3 tonewheel electric organ (left pic), which is a staple of jazz, rock, blues, and gospel players all over the world. If you haven't heard of the Hammond B3 organ before, don't feel bad because even though you may have heard the sound before in recordings or being played live on stage, typically only musicians know the name of the organ. I have played hundreds of electric Hammond organs over the years and the Kawai MP7 does an amazing job of not only recreating that B3 sound in factory preset buttons for easy & quick access, but for the first time on a Kawai digital piano it also gives the player digitally interactive reproduction of the famous Hammond B3/C3 organ tonebars/drawbars which you can control in the MP7 display screen in real time through buttons or by slider bars located to the left of the screen, which is very useful. This interactive feature lets the player control the tonebars in minute detail just like using them on the real Hammond organ. All of the Hammond organ style sound & control features can be recreated with special micro editing allowing you to true B3 sound while changing the functions of the organ in real time. This would include Leslie rotary cabinet effects, incremental rotary speeds which then can be activated by the modulation wheel, buttons, or foot pedal including editing and control of vibratos, EQ, amp simulations, stereo field, reverbs, digital effects, and you can combine many of these micro editing features in ways that allows you to create literally hundreds of new organ sounds. You can use the MP7 factory presets to get your sounds instantly or customize them exactly as you want it (as I just mentioned) and then save that customized sound to a memory button for recall later on. There are a total of 256 memory buttons in the piano to save your custom setups in and then you can transfer those sounds to a USB flashdrive if you like for safe keeping. Whatever you want the organ sound to be, this piano can do it including having huge pipe organ sounds for the classical music lover...I am one of those:). The traditional classical/church pipe organ sounds are also very convincing and there is a big variety for all styles of classical & church pipe organ music which are impressive. All of the organ sounds and control in the MP7 is a huge upgrade over previous models as well as over other brands. As for all the other sounds on this piano, some people will use them and some won't. After all, the MP7 is first and foremost a piano and the best I have ever found under $2000. But some people will want the additional instrument and keyboard sounds and have good use for them including the synths, strings (the strings are beautiful stereo reproductions), pipe organs, guitars, choirs, brass, reeds, and so on. All of the instrument sounds are really good with some much better than others. However, another reason all these 256 instrument sounds are so important is because the MP7 has the ability to play back 16-track MIDI song files from a USB flashdrive, and those playback songs use many of those live 256 instrument sounds in real time performance. These multi-instrument song files can be used for piano education and playalong as well as for learning a multitude of new songs of which there are hundreds of popular pieces in every music category that you can think of and can get off the internet and load into the MP7 for song playback. There are playback controls for song tempo, transpose key, and even the ability to select separate instruments in the song and mute them (turn off that instrument sound) in the playback mode. 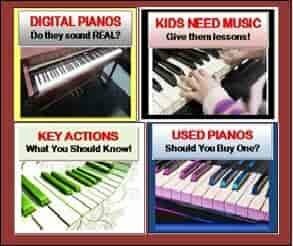 Those are great features and if you want to learn more about MIDI songs and what they can do go to the following link: Play and learn piano using MIDI songs. One of the things I like to do on the MP7 is to have immediate and easy access to multiple sounds at one time (layers) so you can add or subtract them while you are playing using an actual mixer with volume slider controls. This kind of feature allows you to layer up to 4 individual sounds at one time such as Concert Grand Piano, Fender Rhodes electric piano, synth/strings, and B3 organ, or any of the other 256 sounds on the piano. You can also layer 4 different acoustic pianos and play them at the same time or even play four different electric pianos at one time, which is a very cool thing to do and gives you an amazing sound like few other pianos in any price range can do. You simply choose any 4 sounds and put them into groups of four (main & 3 subs) and then save them as a setup into a memory button. You can then access each saved setup without having to recreate it and then use them in any combination (1,2,3, or all four at one time and control each instrument's volume relative to the other in real time as you play. You can also customize each of the four sounds that are selected using effects such as reverb, chorus, EQ, sustain, pedal decay, transpose key, octave, brightness, key touch sensitivity, and the list goes on. In other words it's like having a real group of four instrument players and each one can play and tune his instrument independently of the other and yet all four can play at one time with the perfect volume and dynamic balance that you control...and that's pretty exciting, at least it is to me:). The instrument sounds can also be split across the keyboard into and up to 4 zones. A zone is any section of the 88 keys that you choose to setup as its own area. In other words, you can split up the keyboard into four areas of any size, as long as all 4 zone areas add up to 88 keys. You could then assign a different sound in each of those four areas such as pipe organ in the 1st 15 keys, harpsichord in the next 20 keys, piano in the next 25 keys, and concert trumpet in the remaining 28 keys, which all add up to 88 keys being occupied by 4 sounds. 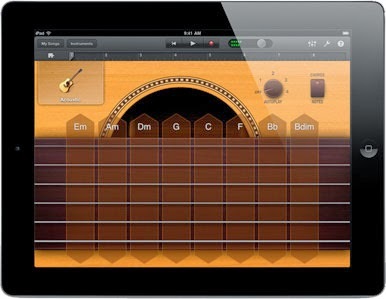 You can even control a sound from an iPad instrument app in one or more of the zones. You can then individually edit each sound with regard to the key that it is in and move it up or down in octaves so the sound isn't too high or too low so that each sound compliments the other, or you can adjust each sound's brightness, effects, volume, vibrato rate, touch sensitivity setting, damper pedal effect and sustain, and so on. You could also set up just 2 zones within the 88 keys and have 1 instrument sound in the left zone (left hand) and 3 sounds in the right zone (right hand) such a piano in the lower zone of keys and strings, flute, and brass section in the upper zone with each sound setup in it's own octave, brightness, sustain, and even have one of the 3 sounds/instruments in the upper zone only play when you strike the keys at a certain velocity or finger strength. That kind of feature is called velocity switching and allows you to control which sound comes in and when, just depending on how hard you strike the keys. Now that's a lot of power. What's really interesting is that this kind of split keyboard setup with multiple zones is easy to do and takes less than 1 minute to setup and save...it's that simple. You can can be as complex in creating your split keyboard setups as you like or as simple as you like such as 2 zones with 1 sound each or 2 zones with 2 sounds each (total 4 sounds) with no editing...whatever level you are at on the MP7 can likely accommodate your musical needs and then some. A feature that I find very useful on digital pianos is the ability to record yourself and play it back. Almost all digital pianos have some sort of a recording feature with some being better than others. The MP7 can do this is two ways... either a 1 track MIDI (non-audio) recording for simple song play and music writing ideas, or a multitrack overdub audio recorder that lets you record multiple tracks, one instrument over the other, in either wav (CD quality) recordings or MP3 audio song files. This feature is not found on any other digital piano under $2000 and is incredibly cool because it allows you to orchestrate and arrange any song so that you can play & record each instrument that you want in the song so that when one instrument is recorded, you play that recording back while you record the next instrument audio track over the top of that. Each instrument can be individually setup exactly the way you want it to sound and then recorded and saved to a USB flashdrive to be played back on your computer or MP3 player (iPod, etc). You can also take a MIDI recording from any MIDI file found on the internet and convert it to audio for playback as a wav or MP3 file. You can even take a audio or MIDI formatted song and play a specific part of it over and over for practice in a non-stop loop so that you can playalong with that part to learn it better. With the new 1/4" audio inputs and independent volume slider controller on the panel of the MP7, you can also plug in a microphone or any instruments (including iPad sounds) and record it live through the piano and mix it with your recorded keyboard playing, including loading in iTunes to the audio player to play along with them and record them into memory, which sounds great. Multitrack audio overdubbing and playback using the actual sounds on the MP7 (as well as external sounds) is a fantastic way of creating music in ways that you could never do before on a digital piano in this price range. All digital pianos have some special effects which are necessary to help recreate the organic playing experience you would get on the original instrument. Those special effects might include a variety of reverbs, chorus, phasers, chorus, amp simulations, pitch shift, detune, compressors, wahs, a multitude of individual EQ settings (as well as global EQ settings), etc, depending on the sophistication of the effects section of the digital piano. The MP7 has a sophisticated, but easy to use effects section as well as having what is known as virtual piano technician effects. This system gives you the ability to add and subtract the actual organic elements of an acoustic grand piano including being able to "voice the hammers" of the piano to increase or decrease the mellowness or brightness of the piano tone with regard to how hard of soft the felt is on the actual piano hammers in a real piano. There is also a function called Topboard (below left pic) that simulates raising or lowering the lid in a grand piano from and higher position to a closed position. This function will act like the grand piano lid being moved up or down and this effect changes the piano sound coming out of it. 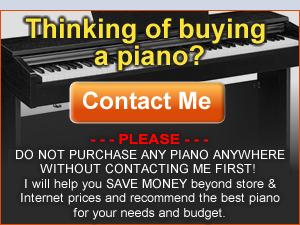 This feature is not normally found on pianos in this price range...and it really does work. Most effects systems on digital pianos in this price range are fairly minimal and some are not very good at all, but the MP7 uses new pro effects not offered before and in a much higher quality range (recording studio quality), and this makes a big difference in recreating the surround sound and multi effects that you would naturally get with the original instrument being played live. Each of these special effects can be edited and adjusted independently of the other and independently for each of the 256 sounds in the MP7, as well as independently for each of 4 sounds that reside in each of the 256 combination setups that you can create from scratch and save, or just use the automatic factory settings. Yikes!...that's what you call a lot of editing and creation power. The MP7 piano and instrument sounds are already very nice just out of the box, but everyone has there own tastes when it comes to sound and realism, so the MP7 is not limited to the specific sounds built into it but instead can be adjusted to a person's own individual musical tastes and expectations and quickly saved in the over 500 memory slots in the piano for easy access when you want to get to your personal sounds....that's a lot of power. The Kawai MP7 is also known as a master (MIDI) controller piano and that ability is useful for beginner players up through seasoned professionals. A controller is something that controls things such as external devices that you want to add to the MP7...makes sense, right?:). Well, when it comes to giving the player ultimate control over all types of external devices, the MP7 does an excellent job. One of the useful things that people do these days when wanting to add new things to their existing digital piano is connecting an iPad. The iPad music and piano apps are so varied and advanced these days that you can add new sounds to your playing by controlling them from the MP7 when you play they keys. The way it works is that you would connect your iPad to the MP7 by using a USB adapter and cable and plugging the iPad into the MP7 USB port. After you do that then you can also route the audio signal of the iPad by connecting the appropriate audio cable from the iPad (mini headphone jack) to the new audio input on the MP7. The audio input also has a real time volume control on the front panel of the MP7. When you play the keys (a song) on the MP7, your playing would trigger the new instrument sounds or any other MIDI functions on the iPad, and then you could hear those new sounds coming back through the audio input in the MP7 which would go out to your external audio speaker system or stereo headphones. You can control the input device volume directly from the MP7 using a volume slider control independent of the other volume controls on the MP7 piano. The controlling aspect is further enhanced because you can assign your iPad device to one of 4 zones/channels of the MP7 and activate the MP7 independently or in conjunction with the sounds in the MP7 (as I mentioned earlier). In other words, adding iPad apps including Garage Band, is like adding brand new sounds, drums, recording, effects, interactive music education, etc. You can also do this with a laptop computer interfacing with notation software for music composition or arranging all easily controlled by the Kawai MP7. Professional players use iPad as well as MIDI sound modules, MIDI keyboards, virtual computer software for laptops, and other devices to add even more power to the MP7. As far as additional connectivity on the MP7 goes, on the back of the piano it has MIDI in/out/thru/ audio outs, dual audio inputs, single damper pedal input, optional triple-pedal input for full acoustic piano pedals, expression pedal input to control expressive sustained instruments such as pipe organ, church organ, synths, strings, etc, all on the back of the piano. Kawai has (finally) written the names of the connectors on the top back of the piano directly over where the connectors are located so that you know where they are. Prior to this you's have to actually look behind the piano to know where to pug in things and that is always a big pain! So that has been taken care of too...and I commend Kawai for doing that. On the front of the piano it has a stereo headphone jack input and a USB flashdrive input. The cabinet color and case materials have been upgraded from the previous models and is now a sleek semi-gloss textured black metal top as compared with a charcoal grey-black top that more of a plastic feel. Even the lettering/names of the functions and buttons are in a more contemporary design and the text is a brighter white and much easier to see. The pitch and modulation wheels which change the pitch and vibrato of any instrument, as well are assignable to control any number of functions on the piano, are standard on this model and have been moved into a more usable position than was on their previous stage pianos. Even the design of the keyboard cheek blocks (other the left and right side of the keyboard) have been redesigned for better functionality and are in a more durable material, and they just look better. The end caps of the piano are made of mahogany veneers and add a touch of class to this model which I like very much because the other stage pianos are typically all black/white plastic and/or metal. The piano weighs in at just 46lbs which is not light, but for this much piano given its durable metal construction (not plastic), solid cabinet, and hammer weighted keyboard, that's not bad. 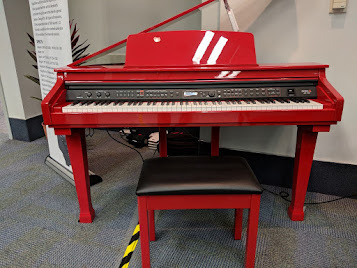 The piano measurements are approx 53' wide x 13' deep x 7' high, and Kawai produces its fitted own semi-hard travel case with wheels for those people who want to take the piano with them for events or functions. In the final analysis, after playing this new piano many times already, I believe the Kawai MP7 surpasses any other brand or model for what it does in its price range under or near $2000 including some some pianos over $2000, and what it does is pretty amazing both in features & functions offered, especially the realism of the acoustic piano playing experience. Ultimately the MP7 is designed for people who want, what I consider to be, the best overall combination of excellent responsive piano key action, acoustic & electric piano sound realism, user interface, and additional useful features all rolled up into one portable piano. Whether you are a beginner and just want to play piano without using most of the additional features, or you are someone at a higher skill level who also wants a piano they can grow into and you like using additional sounds and features, the Kawai MP7 is a very good choice. It looks good, sounds good, plays good, and allows you to make awesome music...so what more can you ask for?! If you want more info on new digital pianos and LOWER PRICES than internet discounts, Amazon, and Bundles, please email me at tim@azpianowholesale.com or call direct at 602-571-1864. *Listen to the MP7 demos below that I put together. All instruments & effects, including percussion, are played live by the MP7 in the MIDI format using the 16-track song playback feature with individual instrument volume and mute controls. There is a good variety of instrument sounds which you will hear in these song recordings and all MIDI performances were converted to audio wav files. How much better than the MP5 (which I own) is the acoustic piano sound? 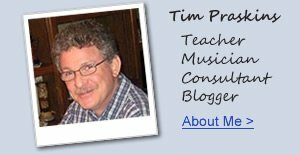 Hi Mr. Tim, and how much better than the MP6 is in overall sound, piano action and reliability? Thanks and have a nice day! Thank you for a fine review of this new instrument. I'm interested in the A. Piano and especially the orchestral sounds, but wonder on how they compare to SPS4-8 from Kurzweil. The sound examples on Sound Cloud/ Kawaius.com/ Kawai.de/ Kawaimp.com are all quite few on MP7 Kawai orchestral sounds for oboe, clarinet and other brass instruments, and strings are most often the warm strings layered with grand piano played in low tempo, which seems to demonstrate the warm strings best with they slow attach. Examples of faster strings would be interesting. Do you plan for sound examples as you did for the MP6? If so please consider including some of the mentioned instruments. Thanks for maintaining this valuable ressource home page. As with any music, the better the external sound system is, the better the reproduction of sound coming from your piano will be. This is also true with stereo headphones when plugged into a music device or digital piano. You are likely overdriving your current system and that is not unusual with a lower power or lower quality sound system or amp. I would recommend Yamaha, Roland, or Mackie powered speakers/ monitors which should be bi-amped with at least 6" main speakers and have at least 100 watts or more between the 2 monitors. The higher and cleaner the power and DB rating, the better the sound will be, especially at lower volumes. Alright, alright! ... just shut up and take my money! There are 3 mono piano patches of which 2 of them are quite good. However you can take any of the stereo pianos and individually adjust the stereo width of those pianos and set it to zero removing the stereo field and turning the stereo sounds into mono. So really you have more mono options then just the preset mono sounds. You're right, taking a second speaker is not always practical for a gig and the MP7 can do the job in mono. If you have more specific questions or want info on lower than internet pricing and where to get that (US only), email me direct. Thank you for your in-depth review of the MP7, I was really tempted by a VPC1 and now I'm torn between the two. This seems to offer much more, I was wandering if the keys on the MP7 are more suited to different styles and instruments rather than just piano than on the VPC1. Is it worth sacrificing the extra features for a better keyboard feel? I play mainly piano but its nice to explore other sounds occasionally. Any thoughts on this would be much appreciated, as Im struggling to make up my mind. I only want one keyboard! first of all thank you a lot for this excellent review, it was very informative to me. Do you know, whether it is possible to assign the rotary speed of the tonewheel organ to the damper pedal somehow? And if so, how to achieve that? This works quite easily on the Roland RD-800, however I struggled to find this function on the MP7 yet. Maybe you could enlighten me a bit? Thanks a lot in advance! rotary speed control changes can be triggered/assigned with an optional Kawai 2-pedal or 3-pedal unit. The damper pedal cannot do it as it is specifically designed to be a damper pedal only. The prior discontinued MP6 could also do that as well with a 2-pedal unit. I don't think you necessarily need the Kawai 2 or 3 pedal unit... couldn't you do this with any ordinary sustain pedal plugged into the other jack? Thanks for your comment and you are correct. The damper pedal that comes with the MP7 is a special half-pedal recognition damper pedal designed for the damper pedal input and to be used as a sustain pedal. However, you can use an inexpensive after-market normal switch/sustain pedal and plug it into the soft pedal/switch input of the MP7 and then you can activate and control simulated rotary speaker control (slow/fast) in that way. Also you can assign simulated rotary speaker speed to the Mod wheel which is also an effective way to control that feature. Tim - Thanks for a great review. How would you compare this board to the Roland RD-800 in terms of the acoustic and electric piano sounds? Also do you think the other Synth and strings sounds are in sufficient number and of adequate quality to stand alone for backing other instruments in a band? Best, Ron C.
I really like the Roland RD800 and it a very capable instrument. The RD800 has its own sound personality and differs from the Kawai like the color blue differs from the color green. Both are great but in their own ways so you could likely be happy with either one. However, the MP7 can keep up with the best of them in terms of sound realism in both acoustic piano tones and non acoustic tones like synth & strings and they are impressive. And it's hard to argue against the MP7 since it offers so much for $700 less than the RD800. Is there a big difference between the mp7 and the mp6 in terms of just feel and sound of the acoustic piano? I am trying to decide which to choose from. yes, the MP7 is noticeable more realistic and authentic in those ways. I think MP7 is good alternative to MP11. It is cheaper, but has some advantages over MP11. 1) It is noticeably lighter and more compact. 2) It has more sounds, including classical church and pipe organs. I was very wondered and disappointed when found out, that MP11 doesn’t have classical organ sounds. They put inside MP11 some marimba, bass and other sounds, but didn’t put classical organs! And this is instrument, aimed on classical pianists. I really don’t understand their logic, and sure 100% this is big mistake. Only this mistake enough for me to skip this instrument and look on MP7. 3) MP7 can playback 16-channel MIDI-files. MP11 can’t do this. Both have Virtual Technician feature. BUT! MP11 has 10 parameters, MP7 has 9 ones. Which one is missing? Brilliance is missing in MP7! Why they have excluded this parameter? And how critical it is? I don’t know. Any thoughts? P.S. Some people complain about Grand Feel action in MP11. They say it is too light. That’s make me worry, because I don’t like light keyboard actions. I prefer to practice on quite heavy keyboard actions. when you are able to personally design and produce a better digital piano for exactly what you want or need, then you can be happy. 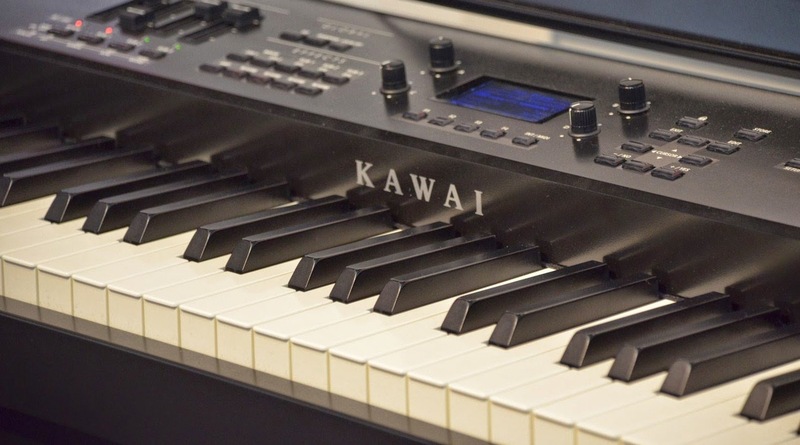 Kawai is having no problems selling every new MP11 they can make because of extremely high demand by music professionals and amateur players all over the world. I don't hear anyone complaining about either of the two MP stage pianos that Kawai is offering. This is a great in depth review. I'm looking at upgrading from a midi keyboard to a digital piano and this one looks amazing. One question can you sample/load your own sounds onto this or do you have to use it as a controller connected to your laptop if you want to play external sounds? Tim, did you play all the demo songs on this review? Amazing talent if you did. The pipe organ blew me away. Incidently, what do you think of Electo Voice Electro-Voice ZX190 stereo speakers or would that be overkill in a home studio environment? I plan to contact you about purchasing an MP7. Thanks a lot for your useful reviews, especially on Kawai pianos.I bought the MP7 kawai a week ago.Could you help me choose a few accessories, please? I need a good sturdy stand or a furniture stand.Is the Roland stand KSC-44 good enough for my MP7? I'd like to buy the pedal unit Kawai F-30 but it is not available.Will you advise me to buy the Roland pedal unit RPU-3 instead? And I don't know how to protect the keyboard from the little kids or pets who want to jump on the keys.Do you know if there is any hard cover to protect the keys from pushing and damaging (not just from dust)? Hi, I have the Kawai digital piano which I bought through you and like it. I fear I don't know enough about the features, however. I was also wondering if it is possible to turn it into a player piano if I want? Thx. Thank you for your in-depth review of Kawai's new MP7. It seems no retailers in my area, including guitar center and Sam Ash music, carry this instrument for me to demo in person. Who carries it? Also, I imagine a custom case will be needed for this keyboard with it's high profile. Any info on cases? Thanks for your fantastic reviews. I'm interested in the MP7. How would you compare MP7 and ES8? I know ES8 have speakers. MP7 have RHII keyboard action and ES8 have RHIII. Does it mean that ES8 is better to play? These two instruments are very different from each other in just about every way. If you read my reviews completely you can know this. The ES8 would be focused mainly on piano playing with some extra digital features and sounds. The key action is very good but also a bit firmer/heavier than the MP7. The MP7 is focused on creating sound combinations, splits, and editing the various 256 sounds in many ways and that is one of the main reasons it has a slightly lighter key action. The MP7 is more difficult to use, needs external speakers to be heard, takes more training to use, and is more for pro musicians or for people who are studio musicians like myself. I do enjoy playing the the ES8 very much for many reasons and I do like both the ES8 and MP7. You can be happy with either one depending on what your musical goals are and playing experience is. I've had my MP7 for a year now and all I can say is GET IT. My ONLY complaint is it could really use a second pair of audio outputs, balanced, to route it in all the ways I need my controller to. As it is, I'll have to get a splitter. Piano sounds are good to great. is a lovely 4 part controller. Your strike velocity response is both TUNABLE and it can auto-listen to you play and set up for you. Thats huge. then it can auto load that. that makes it feel like a real piano. It will take a week of playing with it or more, but you can get it to feel and sound just about perfect. Over the MP11 it has more usable sounds. I would wish it had the es8 live band but most of that is such cheese. we just aren't there yet. I still love it. I cant lift the mp11. so its a good choice for me. I use behringer monitors with ribbon tweets for realism.